Palawan can be considered the eco-tourism capital of the Philippines due to numerous places you can visit for nature tripping. 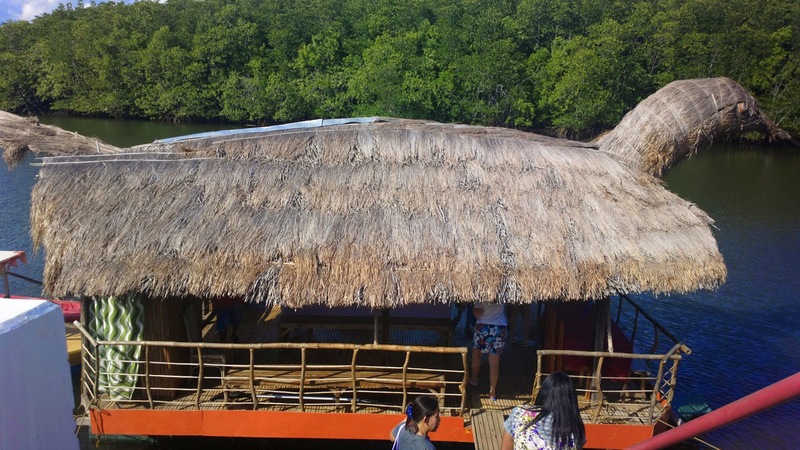 One of which includes a river cruise at Sitio San Carlos, Brgy. 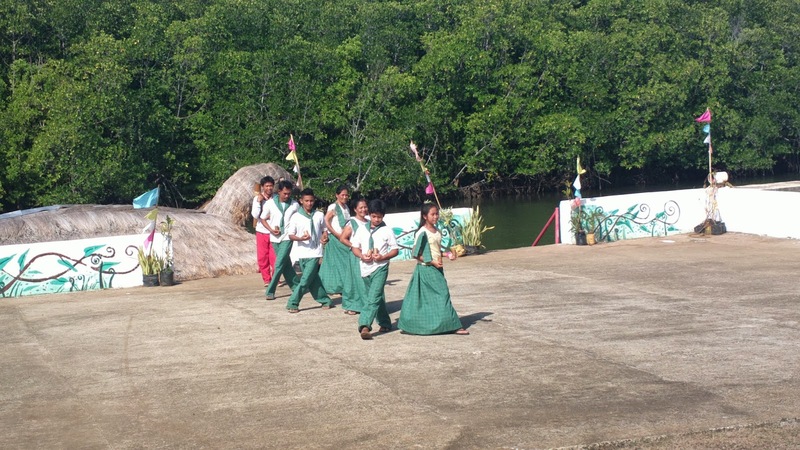 Bacungan in Puerto Princesa City. The cruise lasts for about an hour long and passes through the Bacungan river, home to a mangrove sanctuary where various flora and fauna thrive. 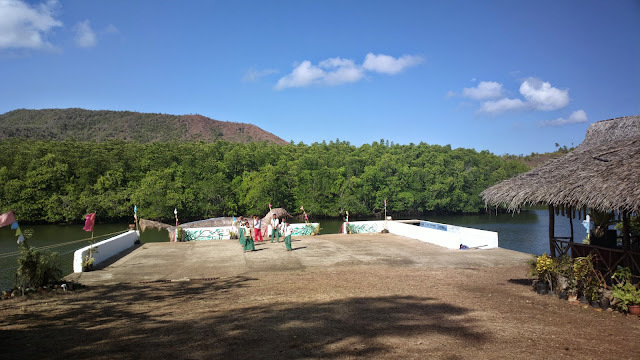 We've even spotted monkeys at one area of the mangrove. 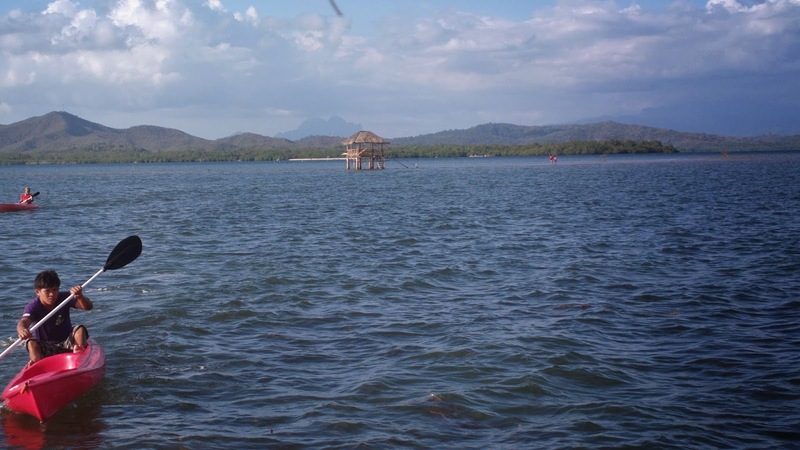 The river leads to an open sea, Honda bay in particular. The boat can then park in the middle of the ocean waters so you can paddle your way with a raft towards the sand bar area. It's a shallow section of the bay where you can safely swim. 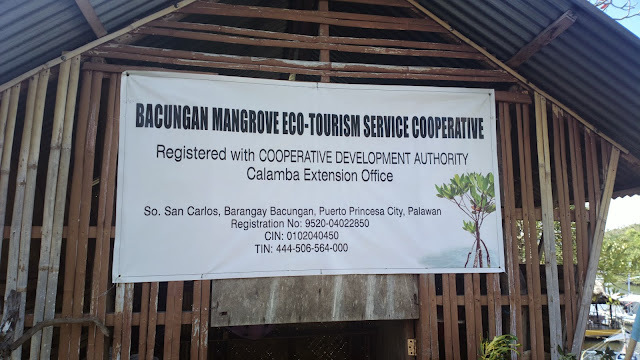 The cooperative tasked to preserve the mangroves are also very accommodating. 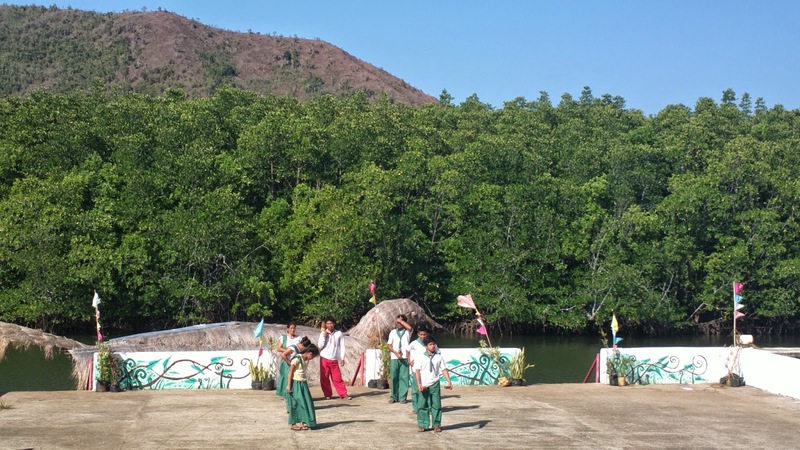 Once you step into their location, you would be greeted with a welcome dance. The boats they offer are similarly inviting. Each bird inspired boat has the capacity to seat 25 people or more. Free drinks are also served. Unfortunately, since our notice was too short prior to dropping by, they weren't able to prepare their supposed signature lemon ginger drink. Maybe next time. Good thing we brought our own food. 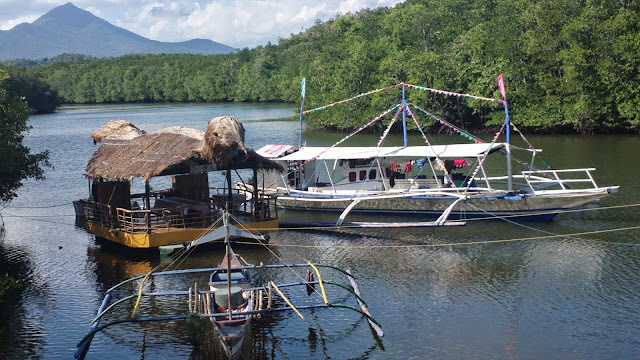 These boats are more popularly dubbed as floating restaurants.